Gum disease is the swelling or soreness of the soft tissue around your teeth. Generally, it’s caused by the bacteria in plaque, a sticky and colourless film that forms on your teeth. The plaque bacteria produce toxins that can lead to gingivitis, inflammation of the gums. That initial stage is reversible. Over time, if you do not remove the plaque through routine brushing and flossing, it can accumulate and infect your gums, teeth, and bone surrounding the teeth. This advanced form of gum disease is periodontitis. 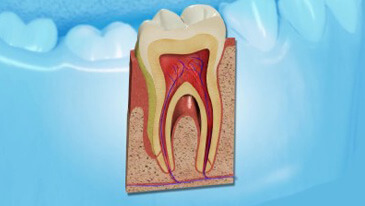 If this stage is left untreated, it results to bone and tooth loss. Diseases like diabetes, blood cell disorders, HIV infections, and AIDS can lower the body’s resistance to bacterial infections within the mouth. This can place someone at greater risk for more severe forms of periodontal disease. Smoking is also something that can increase a patients’ risk of developing periodontal disease. When deep pockets are present due to periodontitis, a Preventative measure needs to be done to prevent further bone loss and better the health of your gums; a scaling and root planning procedure. This special cleaning involves carefully removing plaque and tartar at the bottom of the periodontal pockets; the deposits underneath the gum line. The tooth’s root surfaces are then smoothed, in other words planed, to allow the surrounding gum tissue to heal and reattach to the tooth. The procedure is done with anaesthesia to avoid any pain. Medications might be suggested to ensure that your mouth stays healthy. After scaling and root planning, the doctor will re-examine your periodontium. Many patients find that this treatment has reduced or eliminated the need for surgery. Almost all periodontal patients need more frequent maintenance cleanings. This is usually done by scheduling visits every three or four months. Once periodontal disease is brought under control with treatment, it is very important to have periodontal maintenance care on a regular basis with our hygienists. Keeping good oral health at home is a must, but it is not enough to keep periodontal disease in check. A periodontal maintenance is deeper than a regular cleaning. This cleaning removes the plaque and tartar that is caused by the accumulation of plaque; the sticky, colourless biofilm that is always forming on your teeth. The tartar rests on the gum line and it can only be removed through a cleaning. Patients with a history of periodontal disease need a deeper cleaning because they have deep “pockets”, spaces between the teeth and gums that are prone to trap plaque and tartar. With routine deep cleanings, the pockets can shrink and the gums can become healthier. This is a way for patients who have had non-surgical periodontal therapy to ensure their gums stay healthy. Deep Pocket Therapy (DPT) with New Attachment™ using the Waterlase iPlus laser and patented Radial Firing Perio Tip™ (RFPT) is a minimally invasive therapy for moderate to advanced gum disease. The YSGG laser energy of the Waterlase iplus is especially effective for minimally invasive removal of both subgingival inflamed tissue and calculus deposits, to prepare the pocket and surface of the tooth for healing and new attachment. If decay or tooth fracture extends below the gum line, there is a chance that the dentist might not be able to properly make a crown or other restoration for the tooth. This is when a crown lengthening is then required. The procedure involves adjusting the level of the gum tissue and bone around the tooth in question to create a new gum to tooth relationship. This allows the doctor to reach the edge of the restoration, ensuring a proper fit to the tooth. It provides enough tooth structure so the new restoration will not come loose in the future. It also allows you to clean the edge of the restoration when you brush and floss to prevent decay and gum disease. The minimally invasive nature of the Waterlase iplus YSGG laser can help minimize tissue displacement and flap preparation in osseous crown lengthening. It assists in performing an externally bevelled gingivectomy, shaping the free gingival margin, troughing, and recontouring and smoothing bone.